LAS VEGAS, NV. – Larry Duong arrived at Kinross Gold Corp. knowing the benefits of digital transformation first-hand. As a workforce and human resources information system (HRIS) manager for document destruction firm Shred-it (since purchased by Stericycle Inc.), he received a hands-on course in the pivotal role technology can play in today’s human resources operations, and brought that experience to Kinross when he arrived at the Toronto-based gold mining corporation in 2014. Kinross HRIS manager Larry Duong believes that today’s HR professionals need to prepare for a role that’s a hybrid of HR and IT. Kinross had already decided to incorporate SAP SuccessFactors into its HR practices before Duong arrived, but the company, which employs some 9300 workers across four continents – Asia (Russia), Africa (Mauritania and Ghana), South America (Chile and Brazil), and North America (the U.S.) – had experienced growing pains of its own after hopping onto the digital transformation wagon in 2010. Initially, Kinross relied on a mix of solutions, such as Connexsys for recruiting, Workscape for performance and, believe it or not, compensation manually, on Excel sheets. That, he noted, is one of the key advantages SuccessFactors has over its most prominent competition in the Enterprise Resource Planning (ERP) software arena, Workday Inc. In Kinross’s case, Duong said that before the company switched to SuccessFactors four years ago, its core digital transformation challenge was coordinating software processes between its various sites, all of which were used to operating independently. “We have a decentralized model where we kind of expect our sites to operate and run on their own, so when you give teams like that a mandated, standardized process you really need to be prepared to work with them on implementing it,” he said. That’s where Duong’s experience came in – as HRIS manager for Kinross, he’s made it a core goal to discuss all new software implementations with the managers at Kinross’s various sites, identifying their needs and how the chosen software’s new processes – in Kinross’s case, SuccessFactors – can help them. 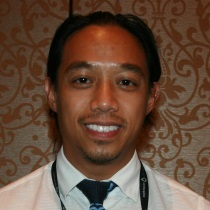 Duong said that using SuccessFactors has changed Kinross’s HR operations a great deal. Performance management, for example, used to rely on a year-end rating system, which has been replaced with a new HR strategy that encourages managers to discuss both triumphs and challenges with their employees. Duong also emphasized that it’s incumbent on HR practitioners to identify how the latest technological breakthroughs, from analytics and big data to artificial intelligence (AI), can improve their management strategies.